Brigid Allanson was born in Cleveland, Ohio and was raised in Northern New Jersey. She is a graduate from The Kubert School in Dover, NJ, class of 2012. 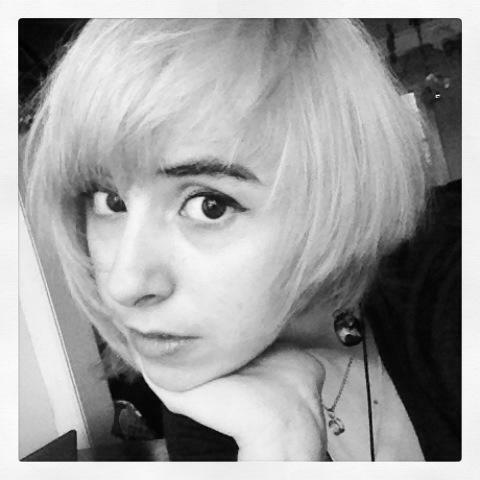 She is currently employed as an illustrator for the indie game company AckkStudios. Brigid is a freelance artist and is working her way into the comic book world. Her favorite thing to draw is pretty girls and she loves the colors pink, purple and orange. Brigid’s favorite super heroes are DC’s Power Girl and Supergirl. Collecting dolls is her hobby and she plans to someday open her own doll company. Don’t be shy, leave her a comment! She loves meeting new people. Congratulations on graduating the Joe Kubert School. Your work is amazing. The variations of red in your banner are gorgeous. Since your seeking a career in comics I will definitely and eagerly await the time when you arrive. Your work genuinely made me smile and I wish you all of the luck in the world. You have a great talent.